Athletes prepare for the "Couch to 5K to LA" mile walk/run on Oct. 7 at the CSUN track. Photo by Jeovanna Amador. Runners complete the "Couch to 5K to LA" mile walk/run on Oct. 7 at the CSUN track. Photo by Cassandra Toraya. 3 WINS Fitness and Strength United participants do warm-up exercises. Photo by Jeovanna Amador. Luís Miquel González has never run a marathon, but the California State University, Northridge graduate student is training to run the Los Angeles Marathon on March 18, 2018, to support Strength United, a CSUN-chartered center that provides help for victims of abuse and domestic violence. “My goal is to train consistently every week and take it step by step,” said González, who is studying tourism, hospitality and recreation management. Through an application process, Strength United was selected to be honored as an official charity partner of the LA Marathon for the past two years. But the 2018 race (and the months of training that precede it) will mark the agency’s first collaboration with 3 WINS Fitness, a free community exercise program offered by CSUN’s Department of Kinesiology in the College of Health and Human Development. Faculty, staff and participants kicked off the training and celebrated their partnership with a Couch to 5K to LA mile walk/run on Oct. 7 at the CSUN track. About 40 people participated in the walk/run, designed as a first step toward the marathon. González appreciated the overall educational atmosphere of the event. “There were experts in kinesiology giving us advice and we were able to ask them questions,” he said. Simply deciding, “I’m going to run a marathon” can be intimidating, so Loy suggested beginning with smaller steps. To be successful in the marathon on March 18, Loy said that people should work gradually toward running 5 kilometers (about 3 miles) to slowly prepare for the 26.2-mile marathon. For those who missed the first event, it’s not too late to jump on board, Loy said. The 5K on campus takes place on Oct. 29, at 8 a.m. in front of the Delmar T. Oviatt Library. 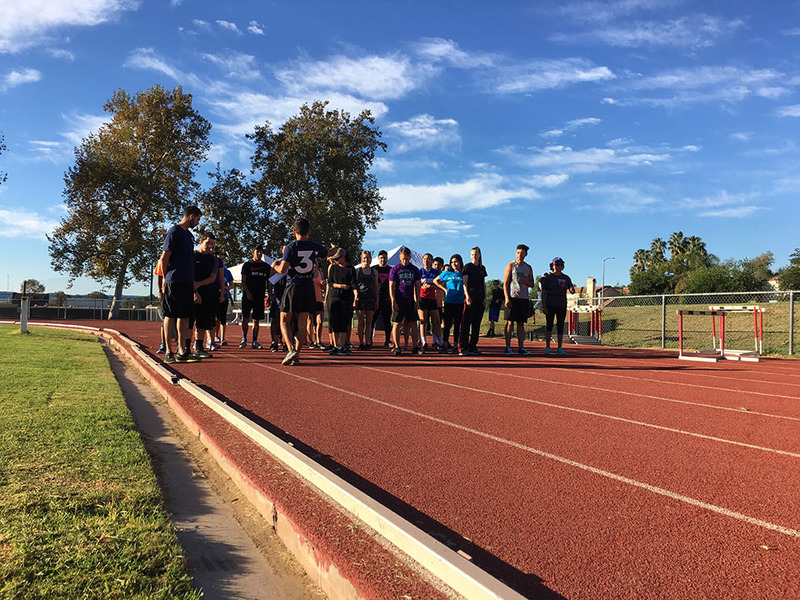 Kinesiology graduate student Joshua Carlos created the Couch to 5K to LA training program to go with the events. In preparation for the LA Marathon, 3 WINS Fitness instructors are offering participants free training sessions. 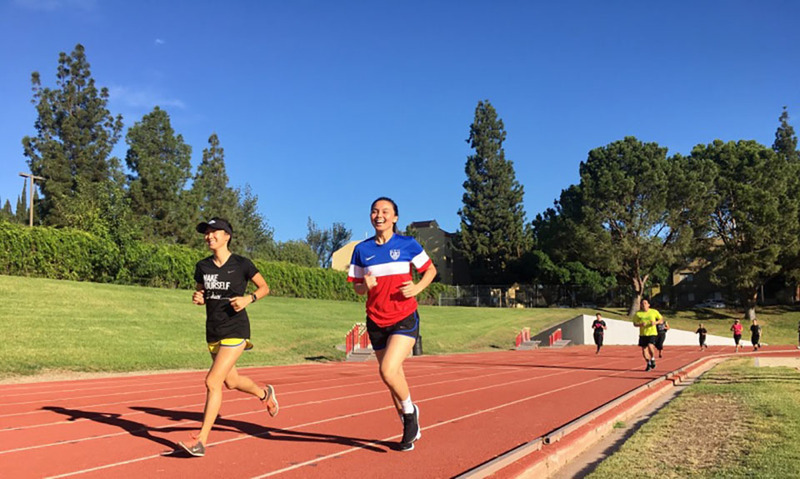 “The marathon program includes 16 weeks of athletic training that will be accompanied by the support of our CSUN Athletic trainers and physical therapists,” Carlos said. Runners also will receive nutrition counseling and help in selecting proper training gear, such as well-fitting running shoes. Preparing for a marathon also affects a runner’s daily routine, he said. “It requires you to eat differently, go to bed early and get up early,” Loy said. Thirty-five people already have signed up with the group to run the marathon. Training sessions will be held on Mondays, Wednesdays and Saturdays. Team spirit also will be a crucial factor, Loy added. “The idea is that we become one community at the point where it gets harder in the training and the distances get longer,” Loy said. González said he’s excited to start his journey with 3 WINS Fitness and Strength United. To participate in the Strength United LA Marathon team, runners must raise $350 in support of Strength United. All participants must also pay a general marathon entry fee of $170. Further information about training sessions and upcoming runs is given on the 3 WINS Fitness website. 3 WINS Fitness started as the 100 Citizens program in 2011, born from CSUN’s Department of Kinesiology — one of the nation’s largest kinesiology programs. 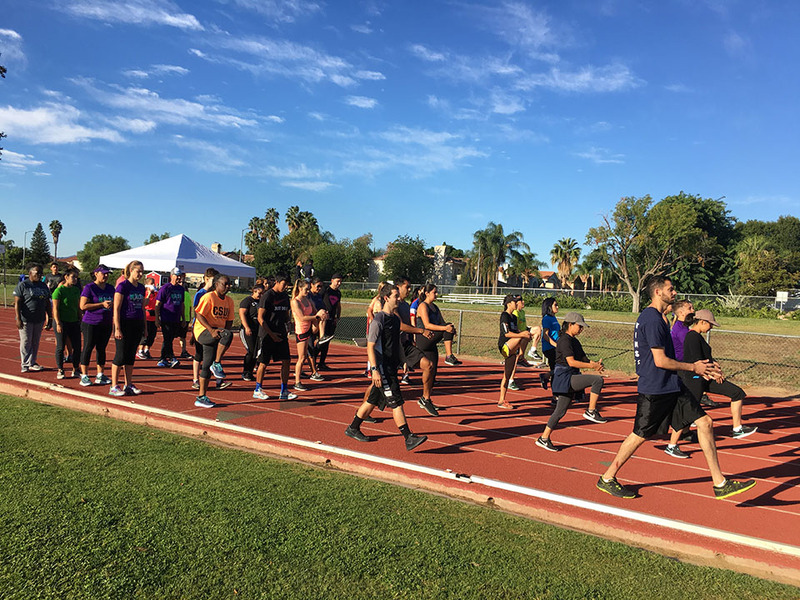 The exercise program is aimed to improve public health and fitness by offering free workout sessions to the local community at San Fernando Recreation Park. The initiative took off, soon expanding to three other parks throughout the San Fernando Valley and two additional parks in South Los Angeles. Five years later, 3 WINS Fitness expanded to CSUN’s sister CSU campuses in San Francisco, Stanislaus and Los Angeles. So far, 16 training locations have been created, with a concentration in the northeast San Fernando Valley. In 2013, the White House recognized the program through First Lady Michelle Obama’s “Let’s Move!” campaign. The initiative’s name change to 3 WINS Fitness represents its three main beneficiaries: students, the community and participants. Strength United is a chartered center operated through CSUN’s Michael D. Eisner College of Education. Strength United was founded 28 years ago by Department of Educational Psychology and Counseling faculty, and it provides an interdisciplinary approach to ending abuse and violence. It provides confidential 24/7 support and crisis intervention, along with long-term counseling, victim advocacy and prevention-education programs.